Let's flash back to last year when Pantone announced to the world that Ultra Violet would be the color of 2018. 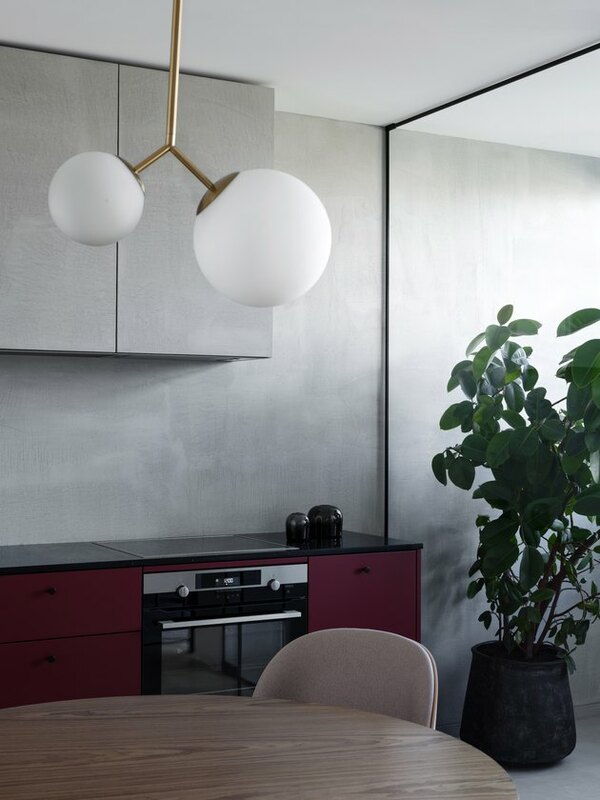 The design world was kind of like, "Oh, hm," because decorating in any shade of purple hasn't ever really been ubiquitous — probably because it takes a really clever design to pull it off. 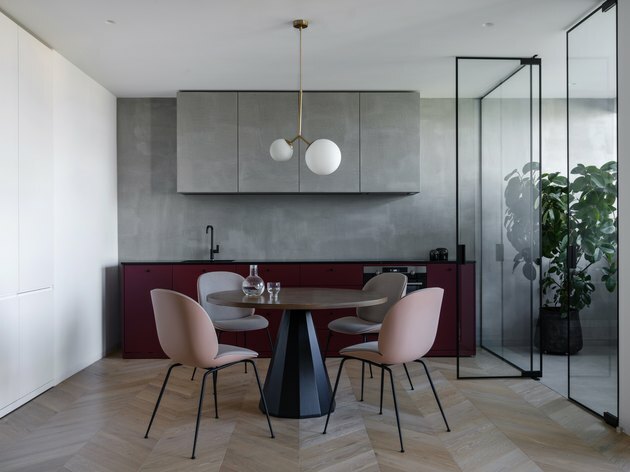 But this apartment in Kiev, Ukraine works purple accents in ways that are undeniably Instagrammable. Architect Iya Turabelidze of Iya Turabelidze Studio wished to create a space that could offer a shift from the noise and speed of everyday life, where serene and modern lines mix with restrained pops of color. Measuring about 750 square feet, the design required creating more free space. 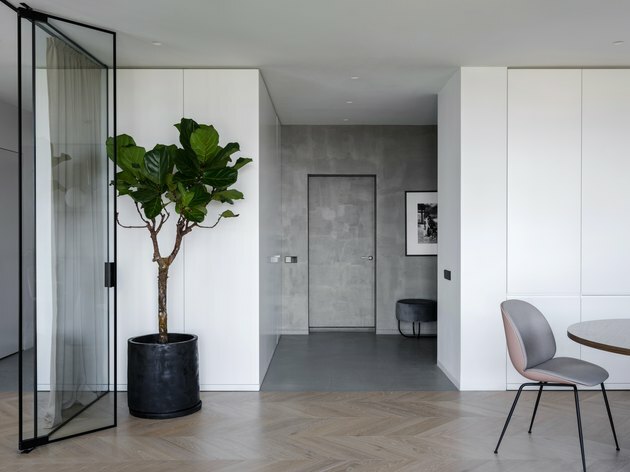 Hidden doors and a hidden wardrobe system contribute to the seemingly clutterless interior. 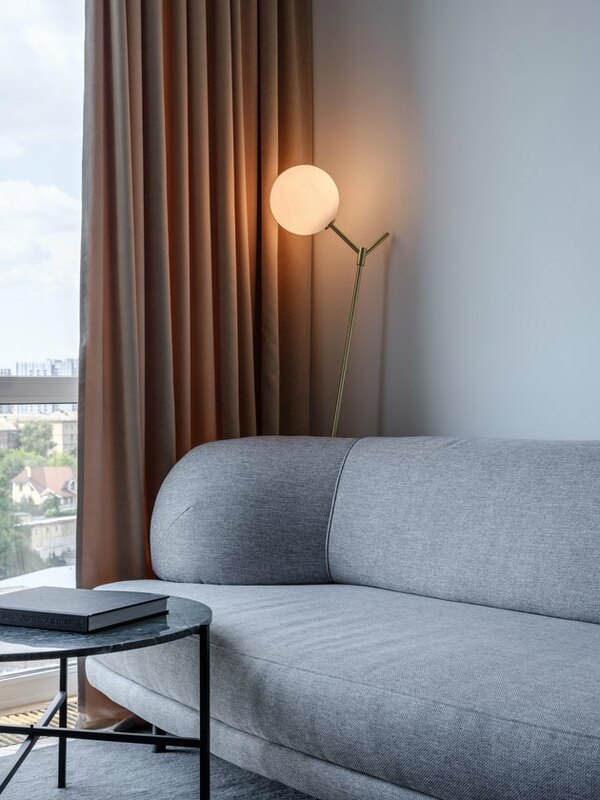 Throughout the apartment, a mix of furniture styles — including Scandinavian, traditional, and custom — were selected to create a minimalist scheme that's simple yet fun. Custom storage units offer utility, creating walls in the open-concept apartment. A plush sofa from Bolia designed by Yonoh Estudio complements a minimalist living room. Below, a view of the bustling city of Kiev can be seen from the cozy spot. A gray backdrop in the open kitchen tempers the girly pink and purple hues found on the chairs and cabinetry. 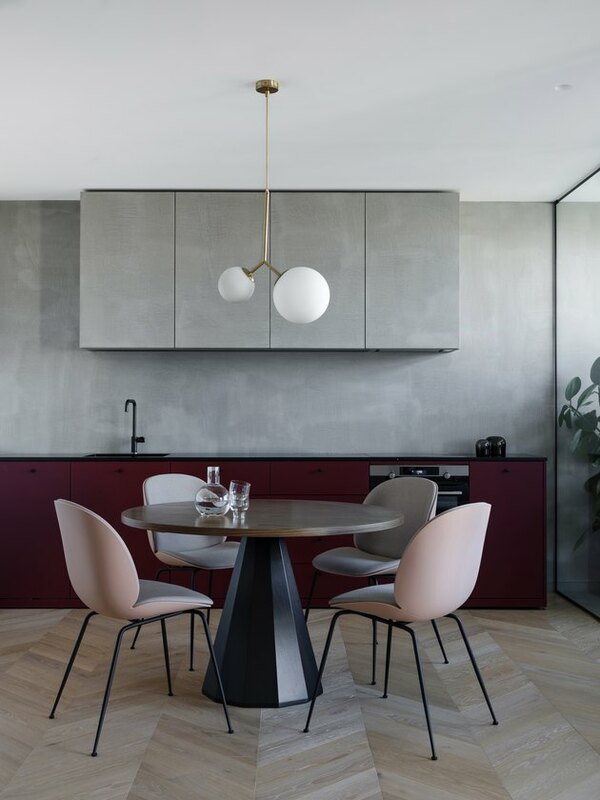 The design highlights contrast in shapes — from the smoothness of the rounded light fixtures to the sharper edges of the cabinets to the pyramid-like base of the table. The purple shades were actually inspired by the client, who is a wine enthusiast. In the kitchen, the cabinet fronts feature a Bordeaux-like hue while the chairs are more rosé. 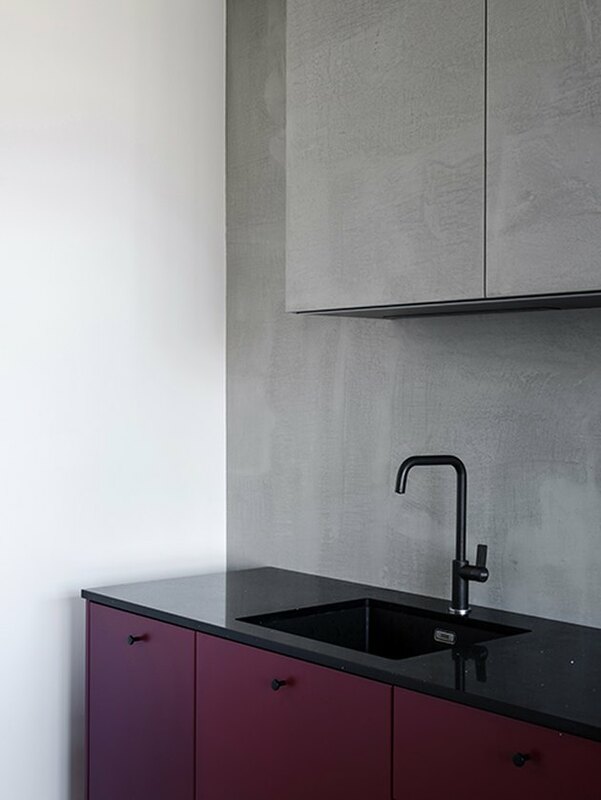 The kitchen countertops are covered in Microcemento coating. Instead of putting up traditional walls, Turabelidze used glass barriers to make the apartment feel more spacious. 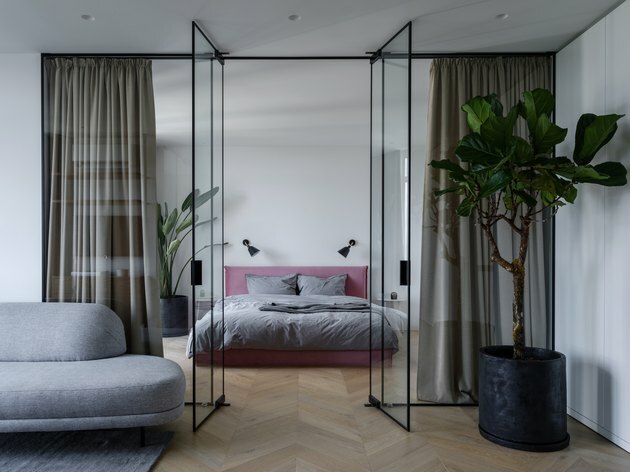 The custom bed features an unexpected pop of pinkish-purple. 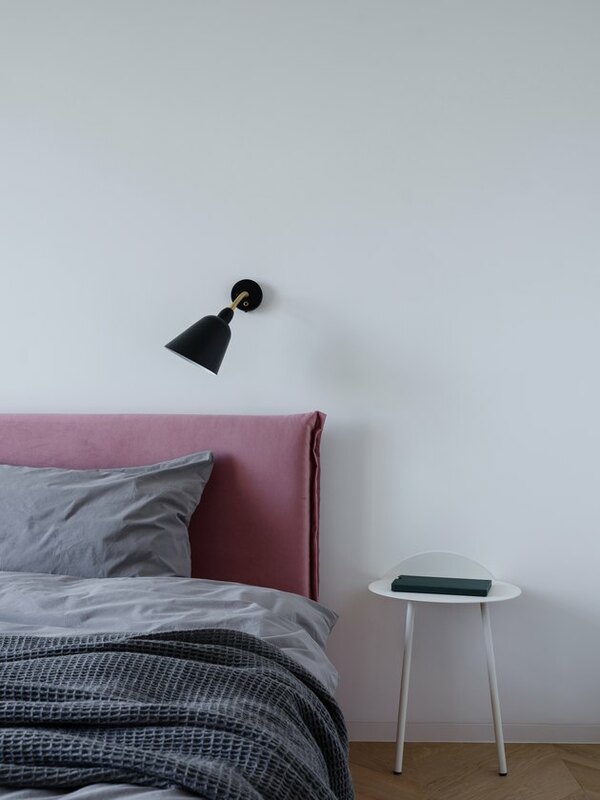 A funky Yeh wall table by Taiwanese designer Kenyon Yeh purchased from Menu makes an ideal minimalist bedside table. 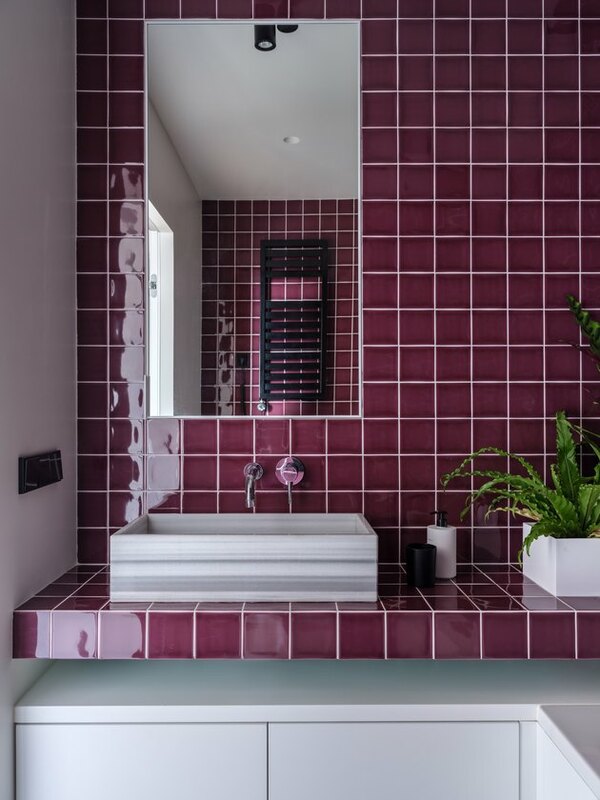 Walls in the master bathroom are clad with Portuguese tile in a rich mauve hue. 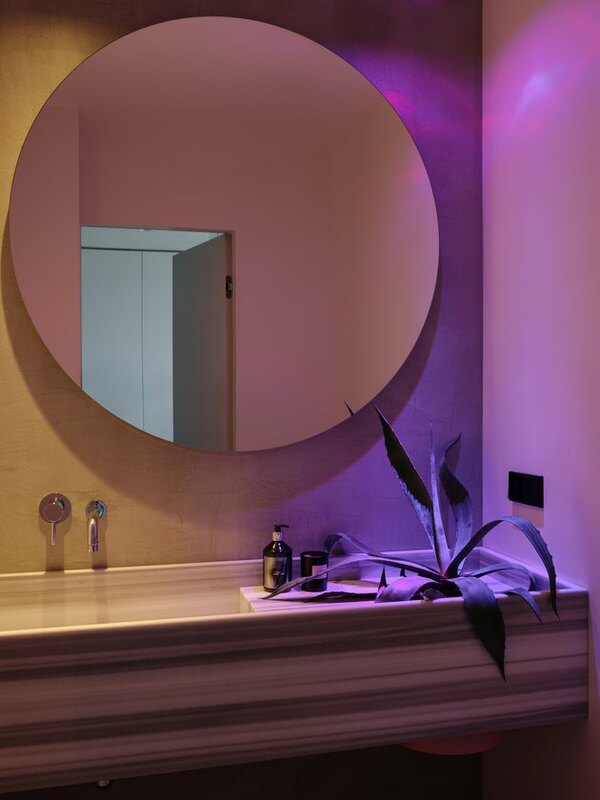 A second bathroom offers high design in a built-in counter plant, a frameless mirror, and neon purple lighting.